Electronic Arts is a publisher with some serious means, so we never fully bought into the reasoning behind it pulling The Simpsons: Tapped Out. If EA needed a couple of servers, it could get its hands on a couple of servers, you know? That’s a phone call, done. 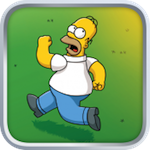 But anyway, Tapped Out is making a glorious return. At an event in Europe this morning, EA’s Peter Moore announced that the social building simulation thing will reappear on the App Store at some point this month, maybe as early as next week. Reports from the event are all over the place regarding what new content it will have, but it seems plain that Tapped Out will launch with something new. Kotaku says it’ll be packing new stuff from the latest season of the Simpsons TV show. Other outlets say it’ll have some new visuals as well as mechanics.